Apple has turned the corner in regards to iPhone sales according to UBS analyst Timothy Arcuri. A memo read by Apple Insider says that UBS is hiking its estimate of iPhone shipments for the June quarter from 32.5 million units to 34.5 million units. However, it should be pointed out that the increase in deliveries is expected to come from older iPhone models. While Arcuri expects iPhone XR shipments to rise by 3 million units during the period, he expects 3 million fewer units of the iPhone XS and iPhone XS Max to be shipped over the same three months. More sales of the lower priced iPhone XR and cheaper older models should bring about a drop in the average selling period (ASP) of the device, and UBS has cut its estimate of ASP for the June quarter from $683 to $655. The global banking house now sees Apple collecting $50.4 billion in revenue for the period, up from $50 billion previously. For the current quarter ending in March (Apple's fiscal second quarter of 2019), UBS expects Apple to ship 40 million iPhones. While that is unchanged from its original estimate, once again it believes that a large chunk of these shipments (5 million units) will be made up of pre-2018 models. 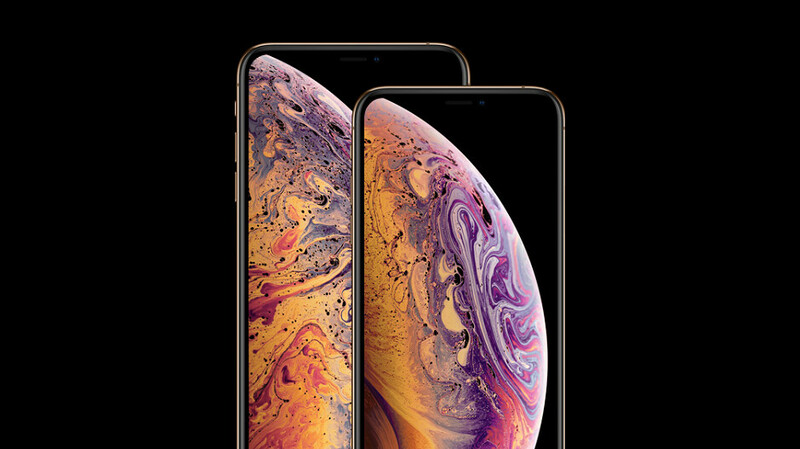 During the three month period, Arcuri sees a 2 million drop in deliveries of both the iPhone XR and iPhone XS Max, and a 1.5 million drop in shipments of the iPhone XS. Average selling price for the current quarter is forecast to decline to $687 from the previously predicted $711. The analyst also cut his prediction for iPhone revenue from January through March by $1 billion to $29.2 billion. The company as a whole will report total revenue of $56.5 billion for the period, says Arcuri, down $1 billion from his previous estimate. During its fiscal first quarter, which includes the holiday shopping season, Apple reported a 15% decline in iPhone revenue. The company is no longer reporting sales of its handsets each quarter. Apple blamed the year-over-year decline on weaker sales in China. That can be largely blamed on the strength of the U.S. Dollar against the Chinese Yuan, which originally forced Apple to price its new handsets at a high enough price to protect its margins. Apple ended up cutting wholesale prices of the 2018 iPhone models in China. Arcuri sees this finally kicking in, leading to a reduction in the inventory of the phones in the country. However, he is still concerned that a large part of iPhone shipments overall are being made up of the lower priced, older units. While the company is discounting the 2018 iPhones to consumers trading in an older model, Apple might have to do more price cutting in order to generate more sales of its current smartphones. Blame China but yourself. A trait of someone who does not take responsibility. Simple as that. Buying the wrong model should be referencing ANY model in my opinion. As in, no person should be buying any of them in my opinion. In current market situation it's great no matter what iPhone people buy as long as they stay in iOS ecosystem. Pssst....maybe, just maybe, the new models are.....wait for it.... Too expensive? Just a theory. Maybe, just maybe, Apple doesn't care that people are... wait for it... Too poor? Just a theory ;). And here you are, just like clockwork, riding in on your white charger! It’s the Apple Knight! "Giddy up!" We are all allowed to theorize, right? Maybe. just maybe, iPhone fans are just fed up with inferior phones at inflated prices? A lot of them do have the same experience with cheaper devices (that's why some of them buy iP 7, others Android phones), but the biggest majority don't. I still don't get this "expensive" thing; don't you think Apple prices its products according to someobjective criteria? As long as the margins are the same as the ones of other oems, it means that the "expensive" to buy iPhone is also expensive to make. As long as people - outside the communist China - are still buying a s**tload of iPhones, it's a certainty - not a "maybe" - that you are wrong. What? No, consumers don't need the analysts to tell them which phone to buy. They buy whatever they like.